To provide educators and students with quality educational resources, programs and other agricultural information that highlight agriculture as an important part of our economy and way of life. To enable students to make informed decisions about food choices, food safety, the importance of our own supply of local food and other agricultural products. To develop an awareness and understanding in BC schools of the importance of agriculture, sustainable food systems, and the protection of BC’s agriculture resource base. To promote the value of a healthy agricultural sector to our educators, students, and society. To promote careers in agriculture as a viable and desirable career choice. To facilitate the relationship between BCAITC and it’s stakeholders to accomplish the Purpose of the Foundation. The Canadian Centre for Child Protection is a registered charitable organization dedicated to the personal safety of all children. Their goal is to reduce child victimization by providing programs and services to the Canadian public. Need Help Now (click here): A resource dedicated to empowering teens to think critically about sharing images/videos online. Parents are encouraged to sign up for cybertip.ca alerts to receive information about concerning technology trends as they emerge. CLICK HERE to sign up. RCS does not allow products that contain Peanuts and/or Tree Nuts on school property. 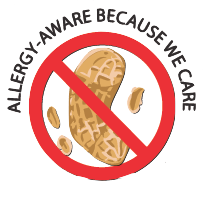 Any contact, even a small trace of peanuts or tree nuts, could be life threatening to a person who is allergic. Thank you for your understanding and cooperation.